This is the simplest of all pasta dishes, and one of the most satisfying. Garlic, oil and chili flakes are a quintessentially southern Italian combination and one that I crave often. 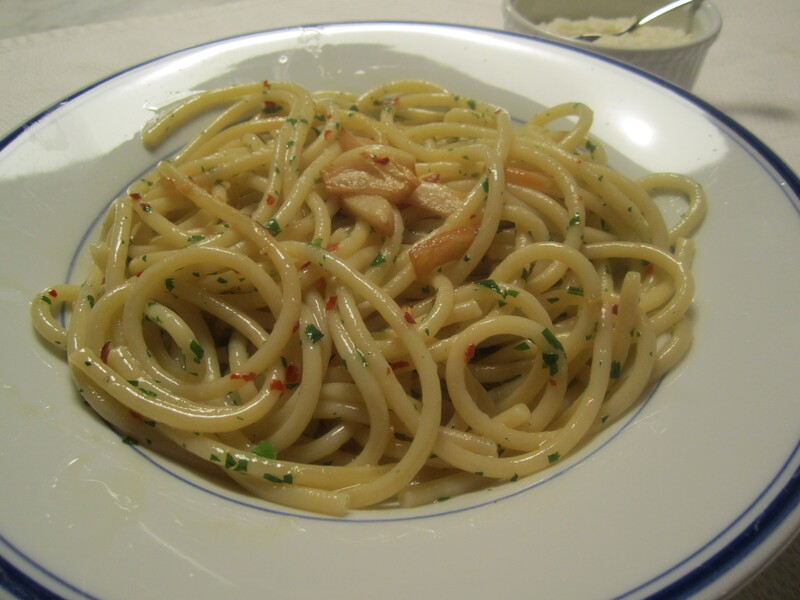 The dish is always made with dried pasta (as opposed to fresh egg pasta), usually spaghetti. Tonight I’m making mine with bucattini, which are much heartier and more toothsome than spaghetti. Since I love the flavor of garlic, but not necessarily biting into a piece of garlic, I’ll saute the garic in the oil, and remove most of it prior to serving. The last important component of this dish, in my opinion, is lots of fresh chopped parsley–it’s not a garnish–it’s an integral part of the flavor combination here. 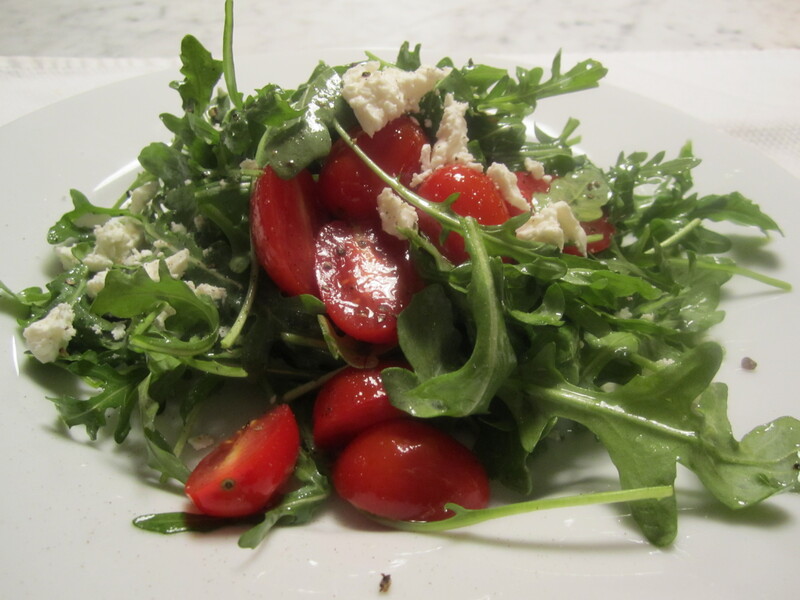 I’m serving the dish with a simple salad of baby arugula, grape tomatoes and feta cheese, dressed with lemon and olive oil–a nice clean and bright salad with a little protein as well. This dish is made in the time it takes for the pasta to cook. Drop pasta into plenty of salted boiling water. In a broad skillet with flared sides, begin slowly sauteing the garlic in oil until it turns golden. Turn off the heat and splash in a bit of pasta water to stop the garlic from browning further. When the pasta is a minute away from done, turn up the heat under the garlic and add the chili flakes and parsley. Add the pasta with 1/4 cup of its cooking liquid. Toss and saute for about 30 seconds. Serve with plenty of grated pecorino romano.